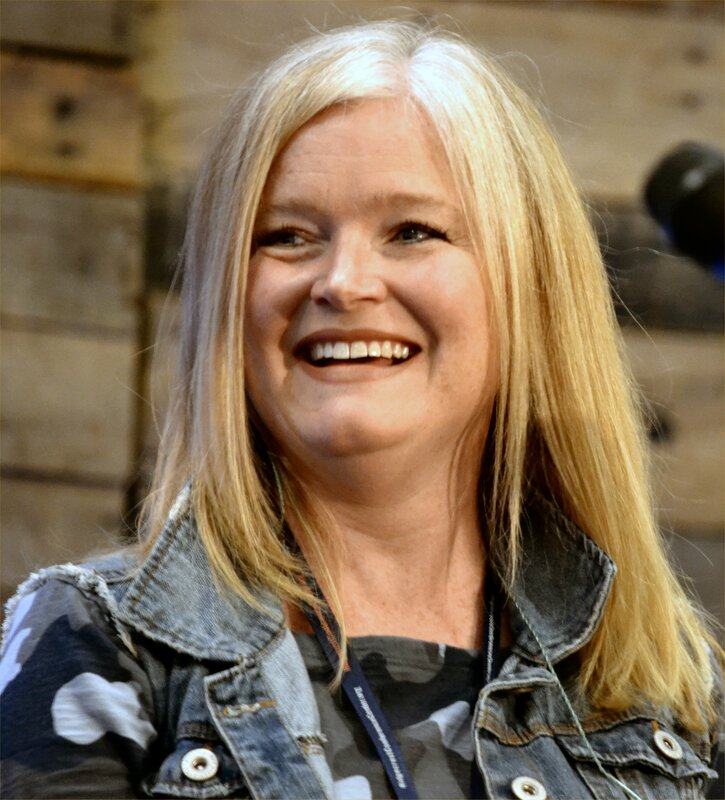 This past Sunday I told you about the Blue Ridge Mountains Christian Writers Conference (BRMCWC), which I just returned from . Not only was it a time of learning and inspiration, but a time of fellowship with other Christian authors. 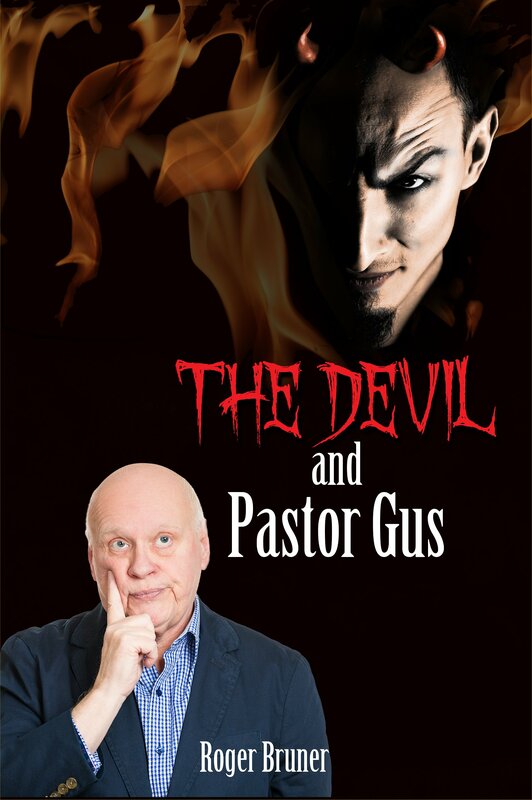 Although Christian writers have certain things in common–their writing is clean and Christ-centered even when it’s not overtly Christian–one of the most amazing things is that they are not competitive to a serious extent. When one of them gets a book contract, everyone rejoices. When someone receives a rejection, everyone commiserates. Ah, but I’m sliding away from my topic, and for that I make no apology. 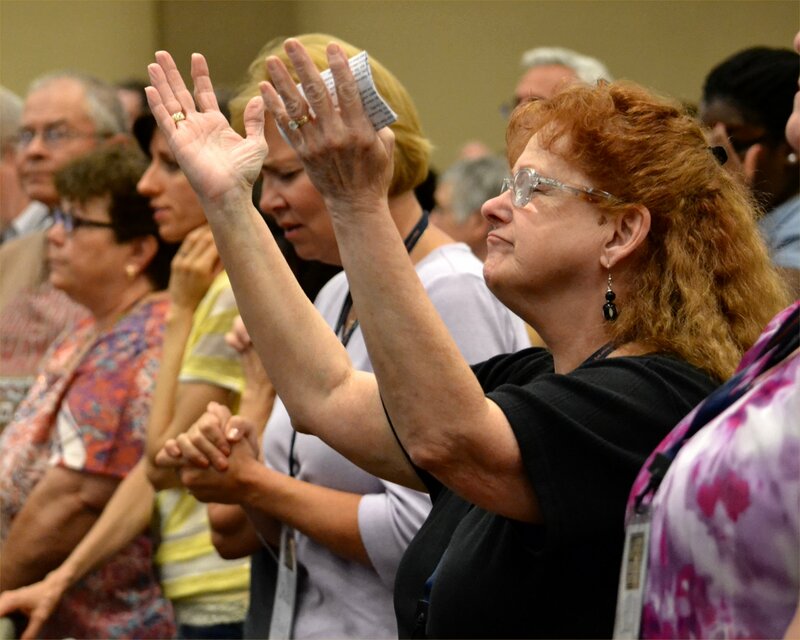 At each big group meeting–seven times in all–we begin with a time of worship through music. 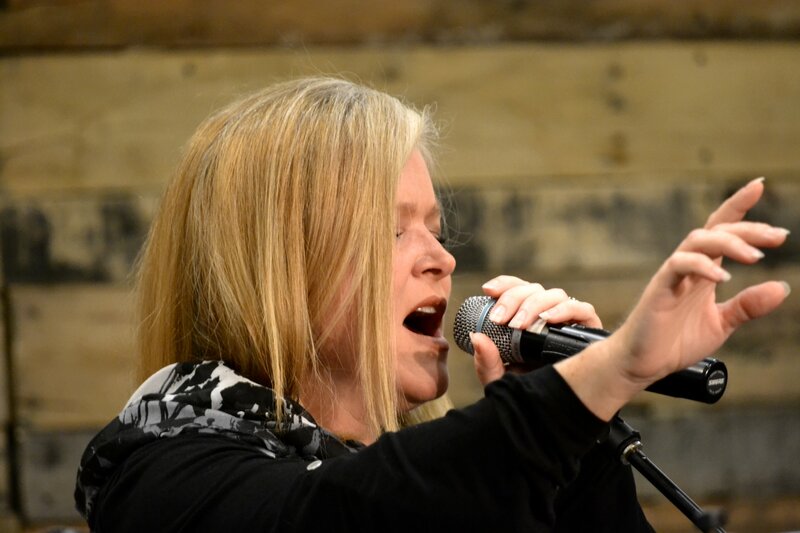 Over the years we’ve been led by quite a variety of worship leaders: Promise, Testify, Janet Roller, and Rachel Hauck. Each person or group wonderful and unique. But this year’s leaders were among my favorites. A husband-and-wife duo called “Russell and Kristi”–Russell and Kristi Johnson. They’re in their late thirties or early forties and vibrant in their music. 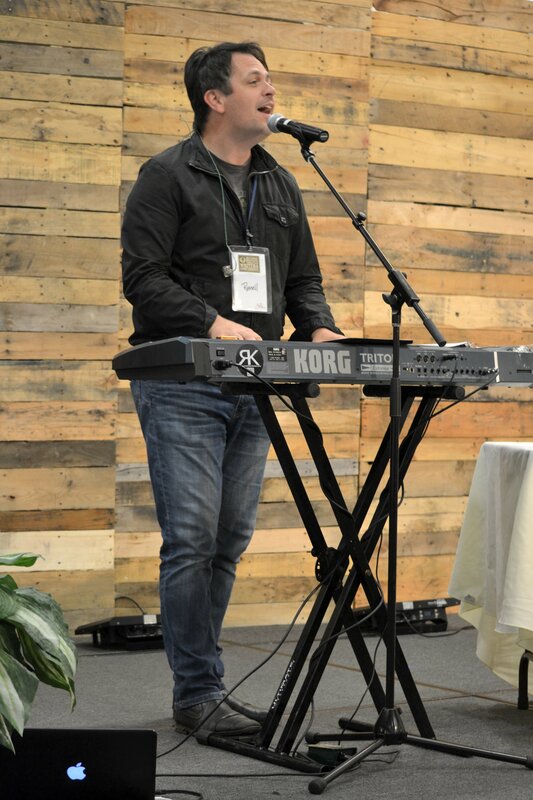 Russell plays keyboard–I learned he plays guitar, too, but didn’t do so at Ridgecrest–and both of them sing. 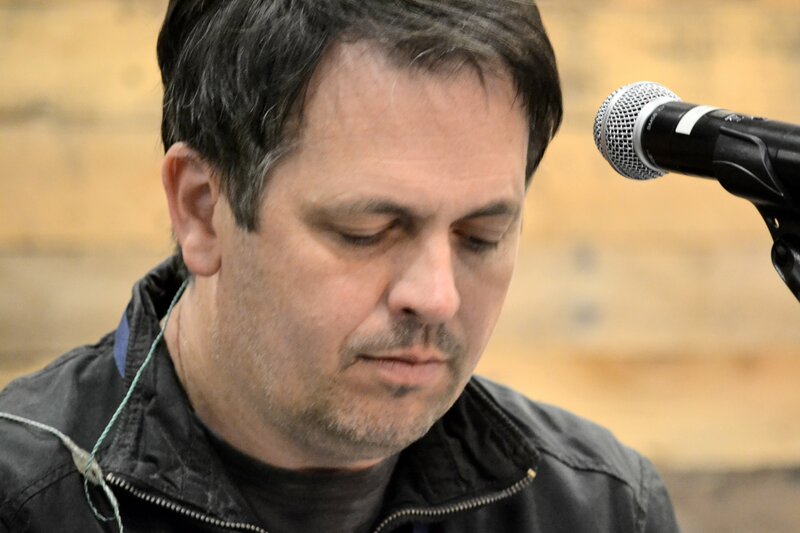 Although they use some of their own original songs–very good ones–they also use other music, including familiar hymns. 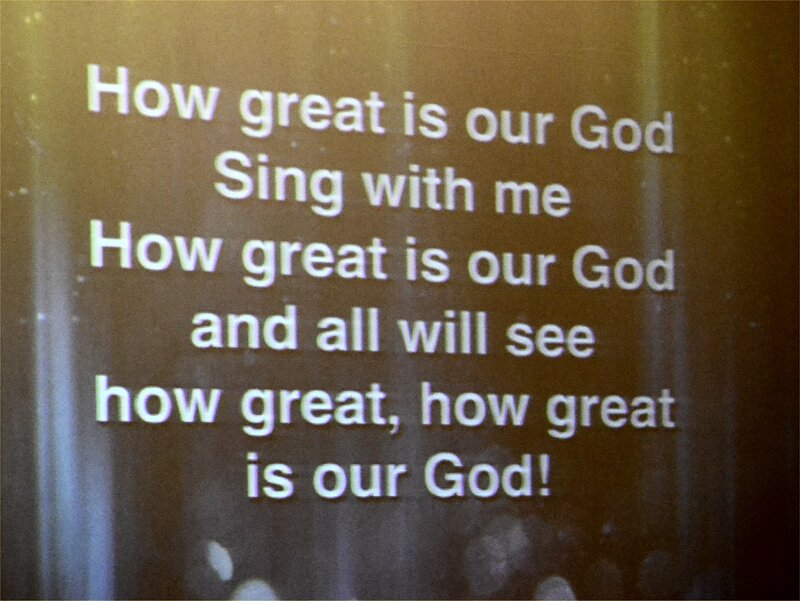 I loved the way they tied a particular theme between an old hymn and a contemporary song. I didn’t talk to everyone at the conference, but the feedback I got was, “We want them again next year!” That’s how I felt. But I bonded with Russell and Kristi in a way no one else had the chance to do. I asked if they had time for me to share a few of my original songs with them. That’s something I try to do with each year’s worship leaders, and I usually only have time to do one or two. But Russell and Kristi were good, thoughtful listeners, and I just kept on going till I ran out of steam. 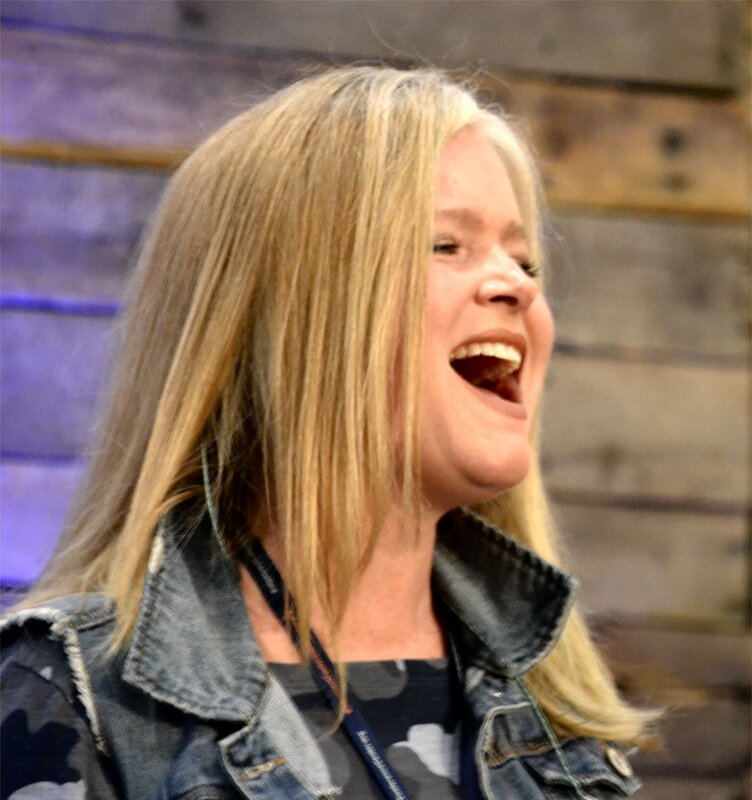 More than once, I saw on Kristi’s face how much my songs had moved her, and that made it hard for me not to break down right then and there. And they both had an idea–the same one. They thought a combination book and CD of some of my songs would be wonderful. While I’m not sure who would want something like that by an unknown like me, I really appreciated their idea. And who knows? Just because I feel uncertain about it doesn’t mean it wasn’t a God-idea. I plan to send Russell and Kristi a CD of some of my songs. I’m not sure when I’ve ever received so much encouragement, especially from professional musicians. Incidentally, one additional reason I’ll never forget them is that my daughter is Kristi–spelled exactly the same way. Have you ever received such special encouragement that you’ve never forgotten it? How about sharing it with a comment? 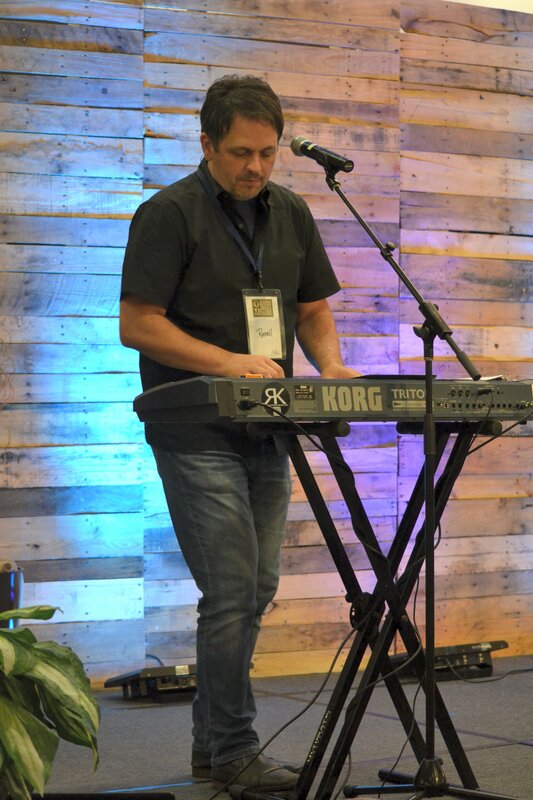 This entry was posted in Musicians, Ridgecrest, Russell and Kristi, Worship Leaders, Writer's Conference and tagged Blue Ridge Christian Writers Conference, On Aging Gracelessly, Roger E. Bruner, Russell and Kristi, The Devil and Pastor Gus, Worship Leaders. Bookmark the permalink.